Journeys with place in writing studies. 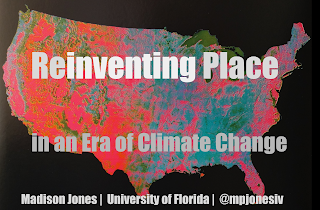 I'm a doctoral candidate interested in place-based and locative approaches to rhetoric and writing studies. My research explores issues of technology and environment in place writing and rhetoric in a more-than-human world. Visit my website madisonpjones.com.